I have never talked about Barcelona yet, my home town, and what a better occasion than now, especially when the temperature here in Dublin, the 7th of July, is 14º C and overcast. Many of you have probably visited Barcelona. Most of the Irish people I have met have visited the Catalan capital. I won’t go into detail about the typical tourist places as everybody knows them and they are shown in every guide, website or travel magazine. I will just give a few tips of places I like to hang around or that I think are worth visiting for a tourist apart from – or including – the famous ones. The city is packed with tourists all year round, and especially the summer. Barcelona is not a huge city, it is medium size but densely populated. Therefore, some places, like the center, are sometimes annoying to walk by as there are too many people. By people I mean tourists. I read that in La Rambla, 8 out of 10 people were foreigners. Actually, I was surprised, as every time I walk it I think I am the only local aboriginal. La Vila de Gràcia was once a village separated from the Old Town of Barcelona. It could be compared somehow to places in Dublin like Ranelagh Village: close to the center but not totally centric. It is an area of mainly young locals with theaters, small shops, bars with terraces, to go for a drink, a stroll or to chill out. The main metro station in the area is Fontana (Green Line) or Diagonal (Green or Blue Line). I like to get off at Fontana and walk towards Plaça del Diamant and then to Plaça de la Virreina. Gràcia has many cosy squares and these are two of them. Plaça de la Virreina has a church, benches and terraces where the locals sit to have a drink and kids play ball. From there, I usually stroll down Carrer Verdi towards Plaça de la Revolució. Carrer Verdi has bars and restaurants, both local and Lebanese, Syrian and others. There is also the Verdi Cinema where you can see interesting movies in original version, usually not mainstream (a bit like the Irish Film Institute in Dublin). From Plaça Revolució I walk to Plaça del Sol, that has many bars and terraces where young people are having a drink either in the bars or sitting in the square. This is one of my favourite places in Barcelona to hang around with friends. It is usually full of young people, and sometimes in the summer there are people around until late in the night after the bars close. A few years ago it was packed until 5 in the morning, but due to neighbourhood pressures and City Council new laws, outdoors activities have been more restrictive in the last years. Now around 1 am, which is quite early for Spanish standards on a weekend, the Cleaning Commando kicks them out with their powerful hoses. Usually, behind the Cleaning Commando there is the Police Commando, for those ones who are reluctant to go home even wet. I suggest to start moving once the yellow and blue men start the water festival. Another area I like to hang around is el Raval. In the past it was ‘historically infamous for its nightlife and cabarets, as well as prostitution and crime’ as Wikipedia puts it, as it is next to the port and it was the area where sailors and navy men went for drinks and for other things. It has changed a lot now, and although there are some places late at night that maybe wouldn’t be advisable for ‘guiris’ (the word used for tourists, especially tourists from the British Isles, Germanic and Scandinavians), it has changed a lot and there are many bars, restaurants, galleries and museums. 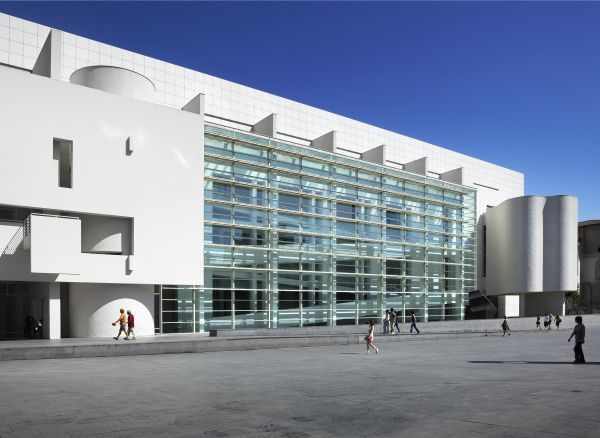 I like to go around the terraces of the Museum of Modern Art (MACBA) to have a drink while the skaters are jumping all over the place. El Raval has a very diverse immigrant community (according to Wikipedia, 47.4% of its population was born abroad), ranging from all South America, Pakistanis and Indonesians, or Romanians. Therefore, you can find shops and restaurants of all sorts. “Roda el món i torna al Born”. This is a Catalan saying that could be translated as “Travel the world and come back to the Born”. The Born used to be years ago a deprived area. However, it was transformed and gentrified to become one of the coolest parts of Barcelona. 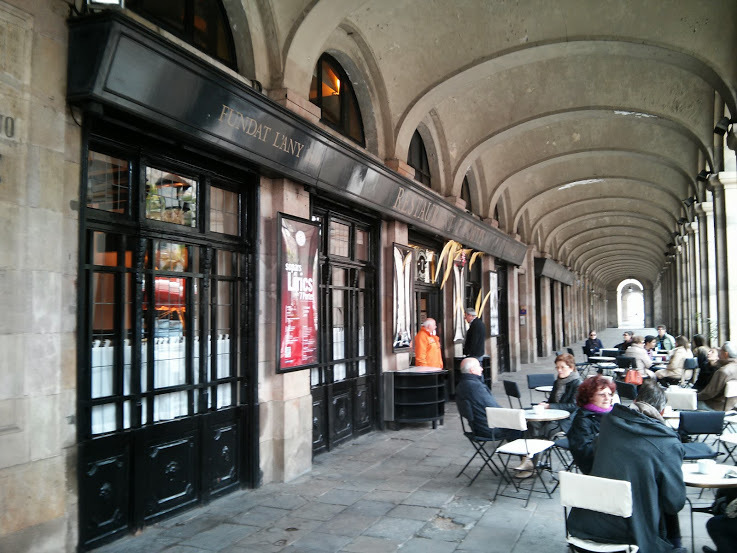 It has the Picasso Museum at Montcada Street, and plenty of restaurants, bars and shops. The church of Santa Maria del Mar is a must, and there are some cute small shops. It is an area where people go out, but I would say that it is mainly foreigners and prices are higher than in other areas. I used to go every now and then, but not regularly. There are a couple of spots that are worth a visit though. Behind the church and the Rambla del Born (not to be mistaken by La Rambla) there is the Carrer Montcada, where the Picasso museum is. Even if you don’t want to visit it, I would recommend “El Xampanyet”, a Catalan family owned bar. It is quite small and cosy, so it’s always packed (by tourists too, of course, it must be in every guide). Their house “xampanyet” (little cava or champaigne in Catalan) is very nice and quite good value, especially compared to Irish prices. La Rambla del Born is worth a walk too, there is plenty of bars around and terraces. It wouldn’t be the kind of bars I would usually go, but sometimes I go to one of the terraces such as the bar Mamainé in a corner of the Rambla del Born. They serve good mojitos. Probably you will see it as it is very small and usually packed. If you are interested in magic, there is a hidden gem in Carrer Princesa: El Rei de la Màgia (‘The King of Magic’). It is a shop more than 100 years old, I would say the pioneer in Spain in magic arts. I used to go when I was 13 or 14 to get magic tricks. I haven’t been since then, but it was a really ‘magic’ magic shop. You went there and the man did a mini show for you. If you wanted to buy one of the tricks, then he would show where was the secret. I still keep my magician case somewhere in my mother’s place. Of course, a true magician “should never reveal the trick”, so I won’t tell you all about it and let you discover by yourselves. One, two, three… you are gone! It is within short walking distance of el Born, so you could head towards La Barceloneta from there. It used to be the old fishermen’s neighbourhood and some of their families still live there. It is probably the best area in Barcelona if you like fish and you are looking for a nice paella. 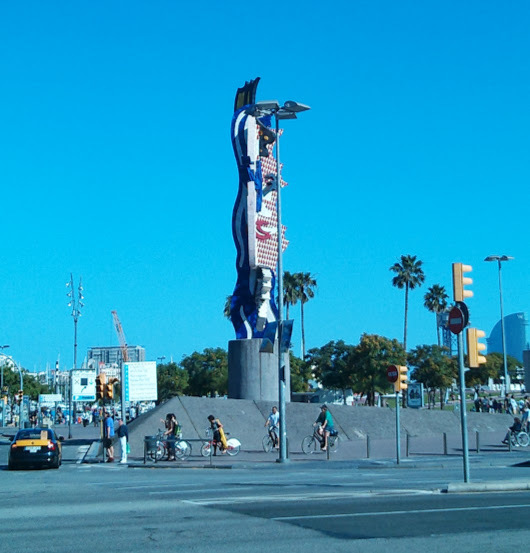 Usually the more touristy restaurants are in the main avenue Passeig de Joan de Borbó along the port with the yachts. Some of them are more traditional and very good – although quite expensive too-, but there are also good restaurants walking towards the inner part of La Barceloneta and around the market square. 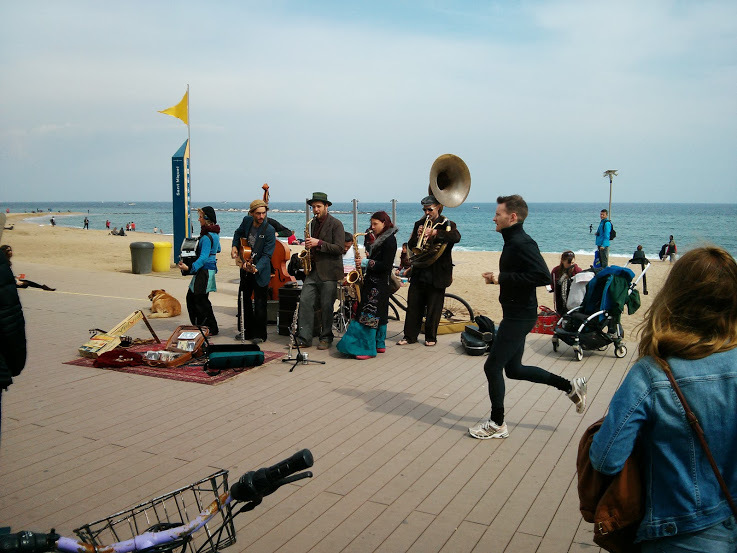 La Barceloneta is a must-see, because of its restaurants and also because it is on the way to the beach (La Barceloneta beach), so it is a nice stroll. In the square of the market there is an old school fishermen bar called “La Cova Fumada”. The problem is that it is usually packed, and since it used to be a bar where the fishermen went to eat after being in the sea, it does really strange opening times: many times you will find it closed, including Sundays all day. Take a look on the internet before if you are interested in going. If you are a fish fan, this is a good place to try authentic fish tapas. You can have grilled squid, ‘bacallà esqueixat’ (a kind of cold cod Mediterranean salad), ‘bacallà a la llauna’ (cod with tomato sauce), fresh grilled prawns, and many others. Also, it is worth to try their famous “Bomba de la Barceloneta” (‘Barceloneta Bomb’), a sort of round croquette made of potato and meat with home made alioli (you have the Irish version of it in Las Tapas de la Lola in Dublin). I would have it with a local vermouth and olives. Mmmm yummy I’m getting nostalgic now… I really like that place as you still smell of something authentic and you can imagine how the area might have been years before. It is family owned and crowded with locals. Obviously, there are tourists like you, because there has been locals like me that have shown them the the way. Enjoy! I wouldn’t know which “restaurant-restaurant” to recommend, so I will leave that responsibility to you. However, I have been to Restaurant Maians a couple of times in the last years and it is quite nice. It is not expensive for Barcelona standards (which are not cheap in general) and good. It is Mediterranean food (fideuà, black rice, fish tapas), small but cosy. There are two Maians restaurants that are not related. One of them is in the main avenue Joan de Borbó, which is not the one I am talking about. Make sure you go to this Maians. There are of course better restaurants than this one. Usually in the good fish restaurants 2/3 courses and wine will be around 40 or more euros per person, more of less like in Ireland, unless you go for a lunch menu which are usually good value and for more or less the same quality as the dinner à la carte menu. One of those good restaurants, at least for me, is ‘el Xiringuito Escribà’. It is not in La Barceloneta, but in another beach not so far away. It is a nice walk along the central beaches of Barcelona. It is not a cheap restaurant: a paella can be around 20 € or more per person, but it is really good and you are facing the beach and the sea. 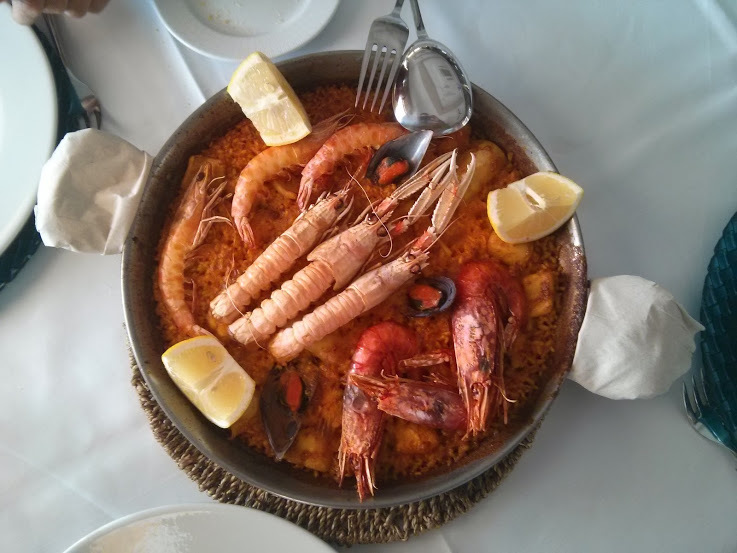 If a good paella is what you are looking for, Xiringuito Escribà is in a great location and it guarantees a good rice dish. Another option, is el 7 Portes (‘7 doors’), which is more than 175 years old. It is between el Born and la Barceloneta and it is a classic. It is not cheap either and a bit touristy as it will be in all guides. I think it is worth a visit though if you have enough days to go to different restaurants. The decoration is ‘classic Catalan’ if such thing exists. My grandparents celebrated there 50 years married, so I guess it is a personal thing too. I won’t go much into detail, but I will mention a couple of things. First, I would go to la Rambla just to say that you have been there. La Rambla, for Barcelonians, is something annoying to avoid unless you really have to cross it to go somewhere. It is packed, with human statues and silly attractions for tourists blocking the walk. You need your handbags controlled, there and in other crowded places like the metro or bars. There is no need to be paranoid, Barcelona is a safer city than Dublin, for instance, but you shouldn’t leave you things as if you were in rural Ireland. It is always packed and it is very difficult to walk there. Nevertheless, it is worth going to the market La Boqueria. If you try to pass the first stalls (the ones with smoothies and fruit pealed and prepared for tourists), I really like it, locals buy there , and it is good value. There are also some bars and restaurants inside and around the market where you can eat good fresh market food. Sometimes I wish it collapsed and fell down. No more business. They will never stop building it and they are a machine of making money for making it worse and worse. I just visited the inside when I was working there. If you plan to go and you are not a huge fan of Gaudí, I would just suggest watching the church from the outside. I think it is a nightmare to get in with the queues in the summer. It depends on your interest, but I wouldn’t pay for it. I understand though that Gaudí was a genius and many people have interest in visiting the inside part. In Passeig de Gràcia, there is the “Manzana de la Discordia” or The Apple / Block of Discord, with 4 modernist buildings of different Catalan architects: Gaudí, Domènech i Muntaner and others. These are beautiful buildings that you will easy find when you see the crowds taking pictures of, mainly, Gaudí’s building. If you have time and you go to Montjuich, it can be interesting to take the cable car from the Barceloneta to get there, so you have beautiful views of the city, and once there you can visit the museum la Fundació Joan Miró if you are interested in art. Also, from the terrace of la Fundació Miró there are very nice views of the city. On the other hand, closer to Plaça Espanya, Caixafòrum is a very interesting museum and venue. It used to be a modernist factory transformed into a museum. They host excellent exhibitions and it is free. I hope these few tips help you to have a good time in Barcelona. Enjoy your time, eat, drink and, my dear guiris, don’t get sunburnt!